Most Melbourne Uni students are no strangers to the drinking hole that is ‘PAs’. But things have definitely changed since my undergrad/honours days when we often frequented Prince Alfred bar for after school/work drinks. Closed for what was a good year or two, the pub has received quite a drastic facelift, and as most would vouch for, for the better. Gone are the dark pub vibes, replaced with a bright and hip interior. You can even order coffee to go… it doesn’t get much more Melbourne than that! 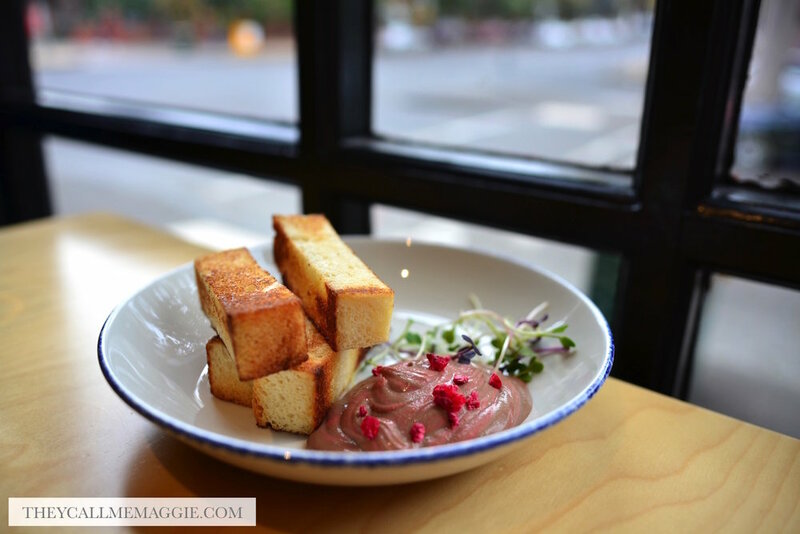 The classic pub fare (think chicken parma, steak sanga, fish and chips) still appears on the menu alongside new, modern favourites like the silky smooth chicken liver parfait paired with buttery brioche fingers, truffled parmesan chips and chilli pulled pork. I couldn’t say no to the cheese platter, which meant cheese for lunch when we visited on a work day. Winning.